Allan R. Bevere: Has the Mystery of the Lost Colony Been Solved? Has the Mystery of the Lost Colony Been Solved? In 1587, Englishman John White led more than 100 men, women and children in the first attempt to found a permanent English colony in the New World. The group settled on Roanoke Island, one of a chain of barrier islands now known as the Outer Banks, off the coast of North Carolina. Later that year, White headed back to England to bring more supplies, but England’s naval war with Spain would delay his return for nearly three years. When he finally arrived on Roanoke Island, on August 18, 1590, White found the colony abandoned and looted, with no trace of the settlers. 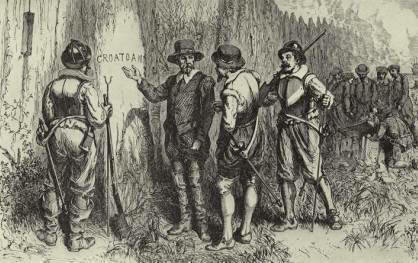 Only two clues remained: The word "Croatoan" had been carved on a post and the letters "CRO" scratched into a tree trunk. Now, two separate teams of archaeologists say they have uncovered new evidence suggesting what may have happened to the inhabitants of the famed "Lost Colony."